How many enterprise businesses are running production-level cloud computing? As more and more companies move to the cloud, best practices and futures will become a top priority. But how many companies already use cloud computing? How many are adding new cloud-based services? What growth is predicted? “Hosted private cloud is a gateway to hybrid cloud environments for many customers. We’ve seen significant traction for these environments as our hosting business continues growing at a high rate year-over-year. With this momentum continuing to build, it’s clear that we’ve reached a tipping point where most companies have moved beyond the discovery phase and are now moving forward with cloud deployments to deliver improved business results and capabilities.” –Marco Limena, vice president, Hosting Service Providers, Microsoft. Microsoft contracted 451 Research to develop the following survey, Hosting and Cloud go Mainstream: 2014. The key takeaways are as follows. 45% of enterprises globally are running production-level cloud computing applications today. North America and Asia have the greatest percentage of enterprises reporting broad implementation of production cloud-based applications (17% each). North America has the greatest percentage of enterprises in the discovery and evaluation phase of cloud computing adoption at 29%. With 61%, Asian companies lead the selective targeting of new cloud computing. 18% of global organizations heavily rely on cloud computing for new projects. In terms of companies that have adopted and are heavily relying on cloud computing, South America (23%) and Europe (19%) top the list. 18% of North American companies rely heavily on cloud computing. Who Will Use Cloud Computing by 2016? SaaS (71%) and Hosted Infrastructure Services (69%) are the two most common IT services currently purchased today, with 14% growth forecasted in each by 2016. The fastest growing category is Platform-as-a-Service (PaaS), with 37% purchasing these services today projected to grow another 26% in two years. 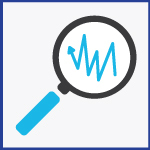 Hosted Infrastructure Services are most popular in government and education. Over 60% of Companies with Fewer than 500 Employees use SaaS and Hosted Infrastructure: This shows that Small and Medium Businesses see the cost benefits and value of cloud computing. SaaS usership starts at the employee level, with increases across the board (businesses, consumers, and distribution channels. Telephone conversations with customer support specialists is the most valuable form of communication (just over 60%) across all support channels. The top spending on cloud-based applications is as follows. Other Important Best Practices are Having a phased approach starting pilot testing, Comparing Costs to on premise models, and Starting with projects that are non-disruptive to end-users. 87% of respondents globally would recommend cloud computing to a peer or colleague. Respondents most often mentioned a good experience and better service, followed by improving costs and saving money through the cloud. Where Will The Cloud Go from Here? With 14% predicted growth rates for Software-as-a-Service and Hosted Infrastructure, 17% for Outsourcing and Colocation, and an astounding 26% predicted on Platform-as-a-Service in the next two years; more and more companies are seeing the differences and benefits of cloud computing. Are you considering the cloud, but not sure where to begin? We have developed a new whitepaper focusing on the best practices and top questions in Cloud Computing. 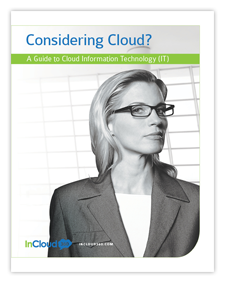 You can download Considering the Cloud by clicking the link above. InCloud360 is committed to the cloud. As leading consultants for small and medium businesses, we offer top cloud services such as Intacct, Amazon Web Services, and SugarCRM. Contact us today to see how you can Go All In with InCloud360.